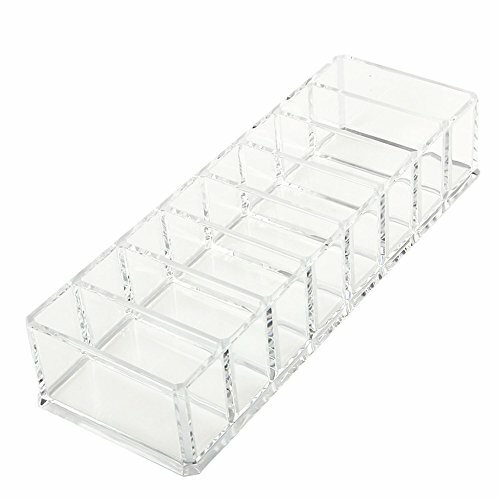 This glamorous looking organizer makes getting ready in the morning enjoyable. It is woman's make-up essential item. 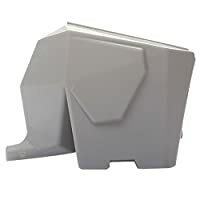 Made of heavy duty HIGH QUALITY acrylic to avoid cracking and increase sturdiness. Stay organized. 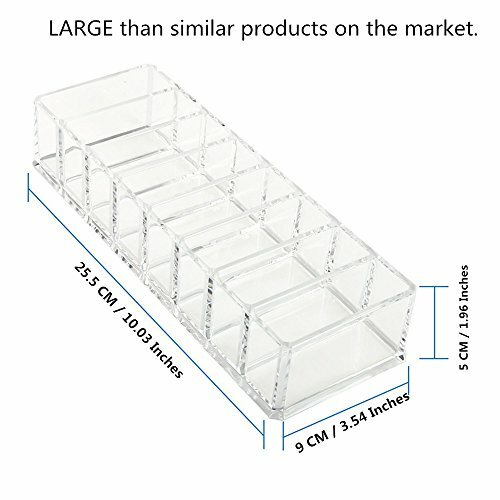 Makes it easy for you to store and access your needed products. 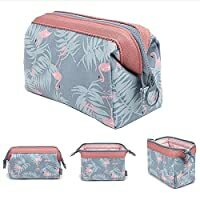 Perfect for personal or makeup artist on the go. Displays elegantly on any bathroom or bedroom vanity. Powder Holder: Keeps powder, blushes, highlighters, eye shadow neat and organized on bathroom closet shelves. Even fits inside most drawers! Ideally is designed for small accessories. Makeup Brush Holder: Features 3 slots to separate your brushes from lip liners, eyeliners, makeup, lip glosses, pencils and other accessories.
? Our products are made by the professional manufacturers which supply to many USA and Euro company.
? We are concerned about every customers, if you are not satisfy with our product, please feel free to contact us. Top Premium Acrylic: Made of durable, scratch resistance and high quality acrylic, with excellent weather resistant and much stronger than glass, making it much more impact resistant and therefore safer. Stay Organized: 8 Space Storage, transparent storages make you easy to spot the one you need. Save space and time. 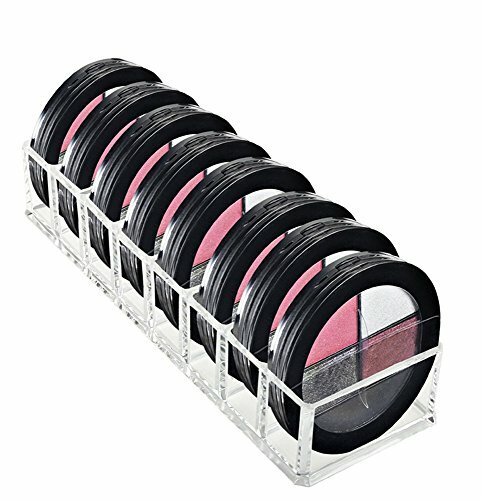 Perfect for organising all your makeup compact powders including face powders, blushes, eye shadows and so on. Dust Free Design - Keep your powder, blushes, highlighters, eye shadow clean all the time. Easy to clean. Never out of style! Best gift for your friends or yourself, suitable for professional and home use. LARGE than similar products on the market. Size: 10.04 X 3.54 X 1.96 Inches. Compartments:3.15 X 1.19 Inches.